Work for InsideSales.com Predictive Playbooks? Learning about InsideSales.com Predictive Playbooks? "Launching IS.com for an enterprise organization"
IS.com has given our organization a simple, consistent and intuitive platform for daily workflows. The software allows our sellers to input data on calls in real-time, in a way that is natural to the flow of their customer interactions. The combination of a streamlined process and a simple dashboard has both reduced time on non-sales activities and increased talk-time and calls logged. IS.com is able to create features that make sense for our sales org, but naturally, they can take time to create. The struggle mostly comes from our custom SF.com features, but they have done a fantastic job working with us to find suitable solutions. Review your CRM and the critical data points that drive your business. Understand the key metrics that IS.com can help build Plays around, which will return the data for you to utilize in future territory planning and campaigns. Our main goal is to give selling time back to sellers by reducing time spent on data logging, customer research and activity management through the opportunity lifecycle. Our sellers have hundreds, if not thousands of accounts, and IS.com gives our sellers the confidence to move from step to step with an opportunity, and being prompted along the way when it is time for the next action. Knowing their plan of action is being managed in the tool frees sellers up to move onto the next task immediately. The number of tasks completed and the increase in talk-time are noticeably higher after implementing IS.com Playbooks. Playbooks is being used by the Sales department to keep track of cadence and make it easier to keep track of accounts that come into our pipeline. It is an amazing tool that makes it easy to go through a full cadence with all accounts. With Playbooks, you can see exactly what accounts you have to call or email on each day. It is truly a game changer. The only thing I wish it could do is to make it so I don't have to go back to the dashboard and select my emails to continue getting my email tasks done. I like that it makes it easier to keep track of every account that is coming into my pipeline and where I am in the cadence with each account. gone are the days of having too many calls on one account and too few on another. Having to go back to the Dashboard to continue doing only emails or only calls on my task list. It would be much easier if I could just click on the next task on the bottom of the screen and just continue on my list of all emails. Would like to be able to navigate from one list by simply clicking the next task instead of it taking me to newly assigned. Would love it if we could use it to keep track of accounts where we have already reached a decision maker. Make it so that when there is a call scheduled it will make it more visible, sometimes the notifications are easy to miss. It makes it easier to get ahold of more people. You can actually schedule calls when people tell you to call back or keep a consistent cadence up, so the number of people that I actually get to talk to has increased. Keeps track of what part of the cadence you are at with each account, Lists every account that you have to email or call that day and Is able to schedule calls and put them on your calendar. I really like the user friendly interface, it is simple and helps me move quickly through my accounts while keeping things in order and making sure things do not fall through the cracks. It lays nicely over Salesforce and seems to work well with it. I am making dials faster and feel overall more productive. There are a couple of bugs that keep happening that are taking away from the tool. I use this as an overlay on top of my Salesforce reports and the "view in playbooks" button does not appear unless I open the application, close it and reopen it. It adds a few more clicks then needed. Additionally it can be a bit more work than it should to make more than one call on an account. For instance if an account has 5 numbers on it and you want to call everyone, you have to go in an manually add the calls to make sure all of them track in the tool. I also do not like that you cannot send an email while on the phone but instead have to wait until you hang up. I am moving so much faster through my accounts dial and am able to make more dials on a daily basis instead of spending time manually updating my cadence. It is nice that this part of my day is something I do not need to spend time thinking about. I love the way Playbooks automatically keeps track of my cadence and keeps me in check! I was missing calls and emails in my cadence before using Playbooks. The support of the staff in our office during the launch was fantastic. There were many people from the company available to help immediately if needed. So far there isn't much of anything I don't like! If I had to find something I guess I would say it took a couple of days to get the hang of it to work faster. Maybe another thing would be to have a quick search available to look up how to do something... or a cheat sheet possibly as well?! Solving missing steps in my cadence as well and seamlessly sending emails off quickly has been a huge benefit! I now realize that I didn't send all the emails I should have and made all of the calls I should have. I think the benefit to Playbooks is I can now work smarter and not harder. I like that it is integrated with my CRM system and gmail, making it simple to send emails and have calls automatically tracked. It definitely keeps me on track with my cadence so no account slips through the cracks. There are a few minor things that have come up using playbooks. I'm unable to undo an email once it is sent through Playbooks and then all email replies have to be manually logged the first time so they are tracked by Playbooks. This is helping me with my cadence by keeping my accounts tracked in one play. I'm able to go through my tasks, rest assured that I haven't missed a call. I like how tasks are automated and I no longer have to set up dates/times to call back. This helps me focus on doing my job right and not having to worry about manually tracking my cadence. "Playbooks introduced into my cadence"
"Productive with constant things to do"
I like that I can sort my day based on steps and am able to send out a lot more emails than before. I've gotten responses back from people from these quick, no-brainer emails we send out after a call and has made it easier to manage my day. The only thing I don't like is feeling like the work is never done and sometimes it's hard to catch up to emails, especially after doing a call block and trying to set up a deal and get back to other people in the meantime. Business problems being solved are things like finding out whether the person we emailed is the main source of contact, whether the company is still in business, what numbers work and don't work, and just being more efficient with my time and designation. "Best sales automation tool I've ever used!" I really like how easy it is to use and the ability to automate and tee up your calls/emails. Allows for greater productivity and efficiency. I also like that you can track your progress and forecast your day/week. So far everything I've seen has been awesome and don't have any complaints. One thing I would like to be able to do is to view other contacts within the same account through InsideSales.com. Another thing that would be nice to have is a way to sort your tasks based on; state, time zones, titles, next steps, direct lines, and or section off specific accounts. Also being able to set calendar reminders from InsideSales.com. It is the best sales automation tool I have ever used and allowed for a laser-focused and cadence structured approach. This tool allows us to create a cadence and a targeted approach to have a greater response rate as well as productivity. Allowing us to understand the different types of cadences or messaging we use and see what works or what does not work. Giving us a cadence to follow, also helps us plan our days/weeks to ensure we are focused in the right areas. With the gamification option, it gives the team an additional drive and healthy competition. InsideSales Playbooks helps me stay organized and on top of leads by using the plays in Playbooks to schedule out talking to suspects which in turn helps convert them into leads and opportunities. Another great feature is the email tracking, which give you a notification when a recipient of an email opens your email. It is a great way to gauge the interest of a suspect. Sometimes the email notifications appear when you click on one of your own emails that you sent while you have Playbooks open.Very inconvenience. This is a fantastic tool for any part of a sales team! One major benefit I have realized, comes from the email notifications and response time. For example, If you send out an email to a lead or suspect one day, then two days later you get a notification saying that the recipient opened your email it lets you know that he/she is at their computer and you should reach out. This is a great way of knowing when people are at their desk and are available to talk. This often yields positive results. It is very easy to use and understand. I like that all of my accounts are organized in a way that I am not confused or wasting time throughout my day. I do wish that I was able to sort by PDS, but other than that i relaly enjoy using it. I think by comitting to using the product fully, it will be an easy transtion. Every since catching all my accounts up as to where they were in my cadence, it has been very easy for me. I no longer am wasting time manually adding tasks. I also used to occasionally forget to create a new task and accounts would get lost or I would forget about them. It's also taking a lot of the guessing work out of my day with providing me a map of my entire day. It sets up a cadence that can be followed so you don't have to bother with complicated emails, and you can make phone calls quickly. There are bugs in the system which slows down productivity. Steps that are hidden because of how a play is set up. An inability to make a follow up ad hoc call efficiently. Inability to access the text of a play once you make an ad hoc call. A lack of the appropriate information to best pitch to the prospect that comes up. Have a strong CRM system with a good sense of what you want in a play. Making calls quickly without having to go through a list in salesforce. Take my brain out of the process of keeping track of who I've called and who I need to call so I can concentrate on pitching. "Simple application, intuitive setup and mostly flawless execution of an automated calling software. " The integrations with outlook and salesforce CRM. Allows you to track what you are sending and receiving along with feeding leads directly into the system to salesforce. In combination with zoominfo, this could be very powerful. There are a few technical issues that inside sales has. If you are using salesforce and you place a call and wish to adapt fields within salesforce, you have to do it twice (may be a company setup error on our behalf). In terms of actual functionality restrictions, not being able to change a play once people are enrolled, is a major flaw in my opinion - especially for a system that is widely regarded as flexible and all encompassing. Great product that has exceedingly strong potential to fulfil all requirements within the field of sales development. As it stands, I cannot think of one software that has similar potential - certainly recommend it. I had an issue with initially automatically feeding leads from Salesforce into InsideSales - after calls with InsideSales (who were remarkably fast at responding), the issue was resolved swiftly due to the reporting setup looking at the wrong column field (will now be patched by InsideSales). Great customer experience though. The fact that you can create an automated sales play and have various touch points with a customer is perfect. You can add people into plays and use generic email templates to target customers. I also like the fact that I can monitor my activity and ensure that I am targetting the right people. I dislike the fact that the Neural Send in the UK pushes the email out at odd times, this feature needs to be improved in the UK so that it can be used better. Easier to create touchpoints with customers. Able to plan out how to target a potential customer, Insidesales.com give you a real insight as to whether their email address is correct and also whether the phone number is correct. This is also a sales tool like no other, the fact that you can target people much faster allows me as a salesman to cover more of the market. "an SDR's Review on playbooks"
I love that playbooks allows us to create focused strategies to get in contact with our prospects. additionally the email and link tracking is super helpful when determining the prospects interest. There isn't much I dislike about playbooks most of it is pretty awesome, If I could suggest one thing it would be to make setting up automated tasks easier. I would do anything to have all my emails for the day auto sent out in the morning before my calls. Definitely give playbooks a try, it's very easy to use and set up, once you have it it's hard to imagine what work was like before it. Playbooks is amazing when it comes to keeping track of who you're talking to, what worked, and what didn't. without it my daily calls would be a mess to keep track of! "InsideSales completely changed my drive, pipeline management, & productivity." What I like best about Inside Sales is the overall ease of use. The way the interface reads creates a very simple path to map out your day which makes it easy to map out success. You simply begin your tasks and follow the conversation to help each client to the best of your ability. What I dislike most about Inside Sales is that each new lead added has to be manually added to the playbook from Sales Force. All contact information must be confirmed and most times has to be added completely from the beginning. The problems solved are not allowing your contacts to fall through the cracks of your business. There is always adequate follow up opportunity and appointments set being added in the cadence of your daily tasks. It removes the guess work and allows the opportunity to present itself rather than having to chase it. For starters it's the only tool like this that offers seamless integration with Dynamics 365 (CRM or Customer Engagement), and it's also an outstanding tool. It allows me to move quickly through all of my daily tasks, and ensure that nothing is falling through the cracks. CRM is now a data hub, which it's great at, and insidesales.com allows me to take action on that data. The system is easy enough to manage on my own. One of the most important things with any software, is the people who bring it to life, and the insidesales.com team is full of rock stars. Still the best features are only available for SalesForce, but I know they will become available for Dynamics soon. The tool has met or exceeded my expectations on every level. If you're using Dynamics for CRM, save yourself the headache and time of prospecting with this tool. Ability to align sales development with marketing through integration with Dynamics 365. Replace disparate systems and allow all activities to be handled in one platform. "Simple & Intuitive Tool! " I love how easy the dialer was to adapt to - it took myself and most of my team a day or so to feel very comfortable using the tool. Features like the ability to send automated voicemail messages, organize your day by hottest to coldest leads, and email templates make volume of touches much higher and create successful days. The system only shows tasks when they are "due", meaning if you are working at a quicker pace than it is assigning your calls, it can be clunky to navigate through. I am able to organize my days better, reduce the number of calls I'm making/have more effective calls, and not need to utilize so many tabs, notes, etc. to know who I should contact and when. "Easier it gets the glitchier it gets.."
I like the simple layout of the tool and the different methods of contact. I enjoy the CRM sync and how it will update sales force with the lead that is up in insidesales. How the CRM is reset every morning. Cant hide the Dial pad if you are manually dialing. How there is only a back button while on a lead and not a menu button. I understand that updates are necessary but it seems that every time there is an up date, the system has something new wrong with it. these issues are quickly worked on though. I dislike the plays(CEO, CFO, CTO, COO etc). They are not entirely necessary. The scripts for plays are bad for both the Emails and calls. not all CFOs deal with travel and Not all COOs deal with fleet. this leads to most of the team to "freestyle" what we say because the plays just make everything confusing and extremely general and most of the time will not pertain to the lead. Dont let anything go past due. Ability to call someone back on a specific date and time automatically. No reminder needed, it will just come up as your next lead if it is the time you had set the call. The cadence is great for contacting. it does not make you call too many times to appear annoying but just enough to show the prospect that you are really interested. The contact strategy via Email and linkedin is also great and keeps you active with the prospect. Inside Sales does a good job of organizing prospecting tasks in a way that speeds up cold call efforts and tracks cadence. By having the ability to create a specific "Play" your have the ability to try a particular strategy or outreach effort and see what kind of results you get compared your other outreach efforts. This is also handy when joined with specific marketing efforts. If you create too many "Plays" it is very easy to become disorganized and buried in overdue tasks and activity's. Having too many Plays at once also makes filtering for particular contacts frustrating. Playbooks takes the busywork out of deciding which account I'm going to call next. It allows me to use my time as efficiently as possible while reaching as many people as I can, and ultimately helping me get to more successful conversations. I'm still getting used to the back and forth of Salesforce and Playbooks, it's still a bit difficult to pull everything up for one account but I know that will improve with time. It was so easy to have accounts slip through the cracks if they weren't properly entered into past pipelines, but with Playbooks everything is consistent. It's so easy to go back and sort by step to make my day as streamlined as possible. "Playbooks has made me more efficient at my job." The integration into our CRM is crucial. I like that you have the ability to email and call from one system; and it logs all of the activities for you in CRM. That used to be a duplicate effort for me. Also pulling the entire email over is great for review. This is a great product that can make life easier for your reps. I am becoming more efficient during the day and it allows me to get more done. We have to meet certain KPIs per week and this has already helped so much. "Integral for Managing Reps Cadence"
I love that it takes the guesswork out of calls and cadence. It also simplifies the day to day on who to call and when. I think it gets rid of a lot of the busywork and lets our reps work! I feel that it isn't extremely customization. I'd like to see more features that we could customize and improve over time. I would also like it to be more intuitive for reps, as there are a few features that are more "hidden". It makes sense if there isn't much creativity in reps cadence. Keeping reps connected to the cadence and making sure that they are following through on all accounts. Benefits are less busywork and quicker sales. "An easy way to simplify sales process." The easy integration IS has with SalesForce, really simplifies my job. Letting me connect with all my Leads and contacts in a faster way, besides having a good tracking for my opportunities. The way Playbooks works helps on my daily tasks, speaking about emails, calls and correct customers' approaches. Not been able to create my own Playbooks. Besides that, IS works really well for me and is really helpful. It's recommended if you need an easy and faster way to approach customers. The capability it provides, when the time of selecting the correct Playbook for a customer or group of customers comes. Not just sending emails or making calls in a general way, but in a selective way, according to every need or type of business. "Great tool for automation of a programatic sales process"
Playbooks allows us to automate the full-cycle of a long and complex sales process, through a series of "plays" that trigger off one another, in sequence. For prospecting, I'm able to standardize initial outreach cadences, with phone calls and automated emails. Once leads are converted into our pipeline, another set of "plays" follows our sales process to ensure compliance and tracking. The data provided throughout the process allows us to make adjustments and create more efficiency. The product is relatively new and as a consequence, the tool has some bugs and usability issues that InsideSales is working through. The "bugs" are nothing major and the tech support team has been incredibly responsive and helpful in sorting out issues, as they arise. Automation and standardization of the sales process. We employ a data-driven approach and needed a tool to complement our efforts and provide enough data to turn the sales process from an art form to a science. Playbooks is a great form of organization and to stay on top of your assigned accounts in the sales industry. Thus far what I like best about it is that it is very easy to adapt to as well as give you total control of your tasks. The glitches are very minimal which has allowed me to thoroughly enjoy my learning experience with it. I like that is it very easy to use and a great tool that can be learned no matter how tech savy one is. I worked really hard building my own sense of a cadence and what works for me personally as far as calling + emailing. When playbooks was rolled out I immediately knew I did not like that it had pre-set steps for me to take considering I handle my form of communication differently. I dislike I can't go back into edit a certain task such as an email if I need to respond to that same thread, etc. Playbooks has helped me solve the order I call my accounts in. One problem I always had with me personal cadence what order I would go in. Originally I would base it off of location, but Playbooks has allowed me to form that pre-set order of accounts that I do cal. The benefits I have realized is a full 360 upgrade. Organization, account management, and the fact that everything is able to be done through playbooks versus clicking through multiple sites to complete a task. The feature creates ease in managing your time throughout the day. Having 1 place that the reps can effectively manage their pipeline. There has also been a lot of positive feedback around the read email notifications. We are still in the learning stages however feedback being received is that there are multiple notifications for a single task which can become a distraction when working on other things prior. We were experiencing the issue of the team not all handling their business and day the same way, each person did it differently. The playbooks allows for a consistent streamlined process that everyone follows. It supports time management & the level of organization needed to be successful in their role. The support we have received from InsideSales has been phenomenal and is much appreciated. As of now I am not currently working on specific issues as a team we are trying to find the most effective way to transfer mass leads & what play makes the most sense for some of those. For the plays that make sense for the disposition the accounts are currently in it is quick and easy to get them transitioned over. What I like best about using Playbooks is the organization it creates of new (Non-Decision Maker contacted) leads. It creates an easy to follow schedule of these leads, allows you to organize them by date of hotness and keeps you on track with the call cadence every 2 hours. Playbooks seems to store all accounts that are in your name even if they are not newly assigned accounts. I will receive notice to contact certain accounts that have been in my name for awhile or that were previously in my name. These accounts are also ones that have extensive activity history with no decision maker contacted. It would be beneficial to better filter accounts with a lot of activity and very late dates of hotness. I am keeping better track of hot, new leads that need to be contacted. The ability to organize them by date of hotness makes it much easier to stay on track with the freshest leads. The greatest benefit has definitely been the reminders to follow cadence and follow up with additional calls. "Great tool to help increase productivity and driving in results!" Integration with Microsoft Dynamics CRM, the UI is easy to learn and use. I run a business dev. team and the dashboard of daily activities and what has to be accomplished by them for that given day is extremely helpful. There are a lot of features from the integration with linkedin Sales Nav to gamification to the auto-dialer and neurolytics that help a sales organization maximize their day to day. They could improve the gamification, limits me as a manager as to what can be tracked and scored and needs improvement. Other than that there isn't much more to improve. If you use Microsoft Dynamics CRM and you are looking for a tool that integrates and drives data back into the CRM platform then Dynamics is the best choice. Originally we got InsideSales to increase day to day output from our BDR team but since we have gotten it, it helps with much more. We use it for coaching purposes and doing a "soft listen" to our reps calls and giving them advice on live calls. efficiency and organizational skills that some reps normally lack and letting leads fall through the cracks doesn't happen with putting them on plays. "Predictive Playbooks Optimizes your prospecting efforts"
The AI really helped our team prioritize our leads & prospects to make us more efficient and increase our conversion rates! The interface is clean & fast. The reporting in SFDC is great & the leaderboards are the best amongst its competitors. The Neuralytics & Neural send ensured our SDRs were not just following a cadence of activities, but prioritizing those activities properly to ensure success. I would have liked more integrations with other tools. InsideSales.com has explained that this is a strategic decision by them, and I completely understand it. Still, as a user, we like to tack on some extras to increase the efficiency of our tech stack instead of having disjointed tools. how to efficiently prioritize inbound & outbound activities to ensure we are targeting the right prospects/leads at he right time with the right content to increase our conversion rates & drop our time to lead on high priority targets. "Great tool to keep you organized! " This product eliminates the admin work associated with day-to-day tasks. That way, it allows sales representatives to focus on actually selling, rather that trying to organize their day and figure out where they are at with all of their prospects. When initially onboarding, there are a high level of tasks that you need to go through to get organized - which simply takes up time. But after that, the tool implements easily into your day-to-day workload. Playbooks allows sales reps to focus more on selling, and less on figuring out who to talk to and when. It sets sales reps up for success and helps to organize their day much more efficiently. "Playbooks has greatly helped my cadence." The one thing I like the most about Playbooks is the instant organization of my accounts. Before I would individually keep track of my accounts and where I was at in the conversation with them and when I last contacted them. With Playbooks it does it for me, making my job easier. I think with any new software, comes change. I think the one thing I dislike is that I now have to change my process slightly to accommodate the software. I want to be as efficient as possible when it comes to contacting my accounts. I am realizing that I would contact a couple accounts only twice and then it would fall out, or I would contact a Decision Maker and then forget that I did and the account would fall through the cracks. With Playbooks that doesn't happen. I really like how the tool sets up my day for me. I can just follow along the page and make calls/send emails as it prompts me. I also like that I can skip tasks that do not apply to the person/business that I am trying to contact. It takes some getting used to, but then it really helps make the day go smoothly. This tool has helped me better understand the best times to reach out to certain accounts that I am working with. The more I get used to it, the more productive I become. "Great tool for sales or CSM team"
Ease of use. It has also really helped record information into salesforce. local presence has been a great feature that has helped our contact rate. so far, not crazy about it having to call my phone first, before placing the call. would be nice to have a beep before the voicemail recording begins, or a more responsive way to leave the prerecorded message to avoid recording yourself before leaving a message. I think the biggest thing is having a a more responsive way of toggling the pre-recorded message when leaving a voicemail, so that you can avoid recording yourself before dropping the prerecorded message. It's an easy way to track calls and update into SalesForce. We also love that it ranks the contacts based on relevance, this has helped us make the most of our time when reaching out to contacts. "Playbooks is a great way to organize a cadence for those who don't have an effective one!" I like the ability to have all my accounts in one tool! I also love that we are able to email prospects straight from Playbooks instead of always transitioning in and out of Gmail, Salesforce, etc. The inability to customize certain cadences, list views, etc. I would love to look at my accounts from a different view (i.e. specific industry) - and since I already had a pretty solid cadence, I'm finding it difficult to make this switch without moving incredibly slow. It definitely helps reps stay on top of their accounts and work them in an effective way. "Be smart, work from a Playbooks." Playbooks makes my day(s) very efficient. Once I've identified those I want to connect with, I use a "Play" or cadence, follow the sequence, in a set it and forget fashion. Aside from the occasional woes, incumbent upon all software, there's not anything to dislike. I highly recommend that each end user access InsideSales.com Labs prior to using for a much swifter elimination of the learning curve. Efficient prospecting and task organization. As a result of using Playbooks, it is much easier to hit KPIs. My "power hours" are much more productive than those who don't use it. "The platform is awesome, simple to use and increases efficiency. Great training as well! " The automation and easy steps to set up plays, dial and send emails while updating the CRM. I highly recommend using or switching to InsideSales.com Predictive Playbooks! Not only does it help automate your daily tasks and forecast your future activities. Having the Insights feature also helps me and our reps to learn more about our potential customers and help us personalize our approach - all in one place!! We noticed a significant increase in productivity as well as connection rates. Being able to see if your customers/prospects have opened your email or clicked on a link also helps me be focused on the people that interact with my emails and links. Allowing us to be laser-focused on our approach. Efficiency and running analytics/metrics on effort. I like the fact that I don't have to bounce around every time I need to switch to a different merchant account. Playbooks literally does everything and I think it's brilliant. As of now, I don't have any dislikes. This tool helps with keeping me organized. As of now, just starting off using this tool, everything is great. Organization. Playbooks definitely plays a huge work in my organizational skills. I am able to keep much better track of my merchants. The fact that playbooks assist in timing when to do our call 2 and 3 is extremely helpful. "Good for first steps on accounts"
The difficulty it takes for emails and dial multiple phone number. I do not like the drop down menu for different numbers and having to go back to dial multiple times. Also the feature that does not allow to write an email while dialing is tough. Also not having emails send on one chain. forgetting which accounts to call is a problem that all reps have faced. "Make Account Outreach Most Effective"
I like how the Predictive Playbooks creates a streamlined workflow that allows you to contact with more people faster and with better efficiency. Once you have uploaded your new contacts into Playbooks, it automates your outreach to them over a predetermined timeline. Creating emails through the Predictive Playbooks can be a little frustrating due to the limited ability to change fonts etc. If you have a tough time consistently connecting with new prospects, Predictive Playbooks will instantly make you better and more effective at it. Business problem: It can be tough reaching new contacts. Predictive Playbooks allows you to effectively reach out to new contacts via phone, email and social media interaction. 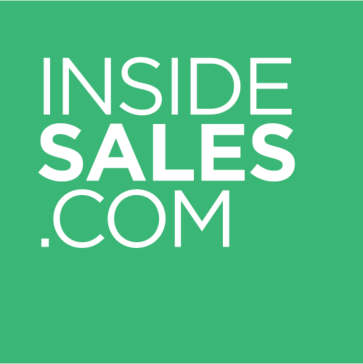 "InsideSales - An Essential Tool "
InsideSales best feature would have to be ease of use. The UI is simplified to retain all the necessary information on a prospect and everything can be managed effectively from a simple tool bar to the right of your screen. In the latest update Companies were changed to Accounts and previously logged companies were not automatically migrated. InsideSales massively increases the speed with which you can contact a prospect, significantly improving productivity and minimizing the amount of time between engagements with your desired future clients. This is exactly the right solution for an IS team. This gives us a chance to target appropriately and intelligently while ensuring prompt follow up. I was honestly very impressed from the get go and everything I've seen after is just reinforcing my opinion. There isn't a single thing on here that I can confidently say I dislike. Unless InsideSales.com can make customers answer the phone immediately? That would be nice. I highly recommend using this product, even if it's just a trial run. In under a month I have a firm understanding of the potential uses and thoroughly believe this is a must have for any inside sales team. It gives me a communication medium that I was severely lacking. It keeps me organized and ensures I change my messaging with each attempt. How easy it is to manage my pipeline! It helps with my cadence on each and every account that I plan on working. Being able to send automated voicemails makes me much more productive and allows me to go call the next account on my list quickly. This tool helps me "work smarter, not harder!" I wish there was a way to favorite certain templates that I use frequently for emails. They have a "recently" used option that doesn't seem to work the best. I still find myself searching through different templates. It helps me to organize my entire day at work. I come in and know what I have to do for the day and when I leave I feel like I got all my work done efficiently. I love the way it automatically keeps track of my cadence and keeps me in check. I was missing calls and emails in my cadence before using Playbooks. The support of the staff in our office during the launch was fantastic. There were many people from the company available to help immediately if needed. The lack of saving previous responds, The platform is could be better if it had a quick search available to look up things. It helped with missed calls, also bringing up the client information automatically is amazing. "Playbooks has made my day to day life more efficient "
One aspect to playbooks I have enjoyed is the ability to customize the setting I prefer. I am able to have playbooks share my salesforce screen as well as have it auto update based on date of hotness and segmentation whichever I prefer at the time. There isn't much I necessarily do not like about it but one thing I would change is the ability to just call merchants if it is out of the 'play'. Sometimes I know I have to call but my 'play' will be email so I just call them through salesforce. Definitely give it a try, it can really make your day-to-day a lot easier. I have found that I am able to re-connect with merchants that may have slipped through the cracks. I love the versatility of Playbooks. I've used tools in the past that limit my reach, but Playbooks allows me to do everything I need and track all my actions to ensure the best outcomes possible. The platform is very user friendly, which is a must for someone looking to be efficient with their day. Honestly, there's not too much to complain about. If anything, the thing I dislike about Playbooks is in the main dashboard. There's a few options or actions on the main dashboard that I don't use , but that doesn't really cause me a problem or inconvenience. It's just a feature that I don't use. The problems that I'm solving with Playbooks is how do I manage my day as efficiently as possible. "Taking Sales to the Next Level"
Playbooks is an amazing product that I use every day and can't do without! I love how easy it is to use it, and how it brings everything in the Sales process in one place. It is super easy to set up and use, and I love the visibility it gives me! Everything that I disliked about the platform has either been resolved, or is currently in the works. They are super open and responsive to feedback! I can do more prospecting and closing. I am more efficient and effective with LocalPresence and Email Tracking. It doesn't even compare to other tools we've tried or use. I know who to engage with and when, and have full visibility. "Playbooks = Effective & Efficient Tool"
I like that Playbooks tells me what tasks to complete each day. For prospecting purposes, it's a huge time saver. My org doesn't have the capability to send scheduled emails yet, but we will soon! If you're sales team needs to spend less time planning out their day, Playbooks is a great tool to make them more efficient and spend more time collaborating with new businesses. The benefits are that it keeps each rep organized and basically plans out their day. Playbooks is effective for prospecting new business. Once a decision maker is reached or the 10 day cadence has been completed, the account will be removed from Playbooks. Then, I personally like to follow up with accounts that are moving forward in the sales process. Quick calling, no need for multiple tabs open - great concept not ironed out enough. freezes, numbers doesn't work, forces you to call even if you have already made contact, does not show me the decision makers name - just the name of the business. freezes, lags - shows it's calling one number, one name, and a different account's page is open. Very confusing. only real benefit I have seen thus far; for reps who have issues following the call cadence it does force you. People who have a flow it is slowing down. I was averaging 4+ closed accounts prior to play books, now I average 1 - 2. Personally I feel as though it has negatively affected my performance. Playbooks is definitely helpful in making sure accounts don't fall between the cracks and the best feature in my opinion is the ability to schedule calls based on their time zone . Too soon to tell at this point, but there have been some small technological hiccups when it comes to syncing contacts, the fact that you have to schedule a separate call to try another number is a slow process compared to click to call on the other number. Playbooks is definitely helpful in making sure accounts don't fall between the cracks and the best feature in my opinion is the ability to schedule calls based on their time zone .Equal cadence amongst all account is nice as well . "Best Sales Program I have ever used"
I have been in the sales / customer service profession for almost 15 years & have used a lot of different sales programs. What I like best about this program, is that it utilizes a lead more than once in comparison to other Sales programs. With the other sales programs, if I don't reach my lead the first time, you lose the lead & the Sale. InsideSales.com program has increased not only my contacts with All my leads but has also multiplied my Sales. Best sales program I've used yet. The only thing I dislike, is the note taking section, or lack thereof. There is no general "note" section, where the previous touches on a lead can be easily viewed &/or updated, which would help the Sales agent to know the most recent updates or past updates about the company - it helps you be more prepared when calling your lead. I highly recommend it for the most productive & modern approach to making a Sale. The benefits of the InsideSales.com provides a much better chance of making the Sale. It has increased exposure to the Decision Maker. It also gives you multiple attempts to obtain the information needed to complete the sale. * We monitor all InsideSales.com Predictive Playbooks reviews to prevent fraudulent reviews and keep review quality high. We do not post reviews by company employees or direct competitors. Validated reviews require the user to submit a screenshot of the product containing their user ID, in order to verify a user is an actual user of the product. Hi there! Are you looking to implement a solution like InsideSales.com Predictive Playbooks?